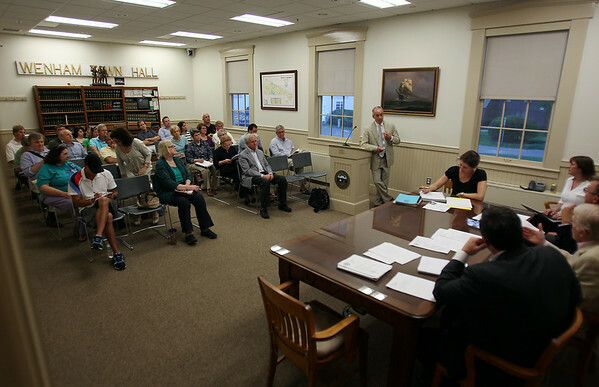 Wenham residents filled the sets inside Wenham Town Hall on Wednesday evening for an appeals hearing regarding Penguin Hall, the former Mullen advertising property that is to be turned into a drug rehab and mental clinic. DAVID LE/Staff photo. 8/6/14.